Dr. Luigi Benedicenti will soon be joining the University of New Brunswick as professor and dean of computer science. Dr. Benedicenti is currently professor and program chair at the University of Regina. He has previously held positions as associate vice-president academic and associate dean of engineering at Regina. He is a Fellow of Engineers Canada and a member of the Canadian Engineering Accreditation Board. His teaching and research interests include software engineering, augmented reality for assistance providers, and virtual reality for scientific visualization and simulation. Dr. Benedicenti has a PhD in electrical and computer engineering and a Laurea degree in electrical engineering, both from the University of Genoa. 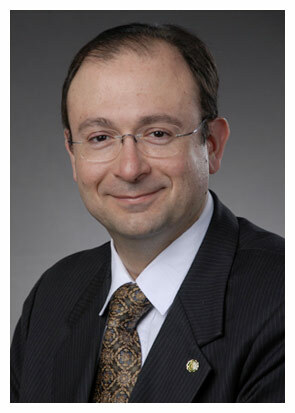 Dr. Benedicenti has received numerous research grants in Canada, totalling $8 million. The interdisciplinary nature of his work has allowed for Dr. Benedicenti to conduct research internationally, including in the United States and the European Union. “The search committee received a large number of excellent applications, each of which was carefully considered before we selected Dr. Benedicenti,” Dr. MacLean said. In addition to his research, Dr. Benedicenti was responsible for new engineering program development at the graduate and undergraduate levels and led the committee which created the first Strategic Plan on Teaching and Learning at the University of Regina. Dr. Benedicenti sat on the University of Regina’s Board of Governors and Senate. He served on and chaired the university’s committee to determine an intellectual property policy and was chair of the student appeals committee. His five-year term as dean begins on July 1, 2017.